The policeman who allegedly beat up a woman at the Shiashie branch of Midland Savings and Loans Limited, Lance Corporal Frederick Amanor Godzi, aka Skalla, has been discharged by the Accra Circuit Court. Godzi was charged with assault for allegedly beating Ms. Patience Osafo, a customer of Midland, on its premises on July 19, 2018, when she went there to withdraw her money. Also set free by the court are the three officials of Midland who were standing trial for allegedly aiding Godzi to assault Ms. Osafo. They are Jocelyn Kukua-Fakah, the Operations Manager; Shirley Portia Anaman, Customer Service Officer, and Prince Ayensu, a driver. Checks by the Daily Graphic revealed that the four accused were discharged by the court, presided over by Ms Cecilia Dapaah Mireku, in December 2018. The court discharged the accused due to the lack of interest in the trial by Ms Osafo. She is said to have failed to appear before the court to testify, neither did she avail herself to help the police with investigations. Godzi was captured in a video that subsequently went viral assaulting 36-year-old Ms Osafo, who was carrying a baby and had gone to the Shiashie branch of Midland Savings and Loans to withdraw part of her GH¢270 savings. Members of the public expressed outrage over the incident and subsequently the policeman was arrested and interdicted, while investigations into the case began. It is not clear why Ms Osafo showed no interest in the trial, but even before the court discharged L/Corporal Godzi, his counsel had begged the court to allow an out-of-court settlement on the basis that the charge of assault levelled against his client was not a felony but a misdemeanor. Also, few days after the incident, Ms Osafo’s lawyers and Midlands Savings and Loans reached a compensation agreement. One of her lawyers, Samson Lardi Anyenini, revealed that the savings and loans company had offered her a generous deal for her ordeal. “To avoid a civil suit against Midlands Savings, and in compensation for the punches, trauma and embarrassment, we just closed a rather ‘generous’ deal that removes her from the kiosk to owning a brand new house and from the street hawking toffee to a woman now with multiple bank accounts. “Her worries no longer include how to feed her family and provide health care for the two-month-old baby. Her GH¢270 savings account now holds a six-figure sum,” he said. He added that “Patience Osafo is certainly overflowing with gratitude for the opportunity of a dignified life for herself and her dependants”. Per what the prosecution told the court, Ms Osafo was a customer of Midlands Savings and Loans. On July 13, 2018, she went to the Shiashie branch of Midlands to make a withdrawal, but she was told by officials of the company that there was a network problem and so she should go and come for the money later. The woman went back to Midlands on July 16, 2018, but after spending hours in a queue, she was told to leave because of the same network problem. On July19, 2018, Ms Osafo once again went to the bank but was given the same excuse and told to come back later, but that time she opted to stay. “At 2 p.m., the bank officials attended to a few customers and asked the rest to go home. Patience then approached the bank officials and explained her frustration. She requested that they give her just GH¢100 to pay her debtors, so that she could get something to feed her family,’’ the prosecution said. According to the prosecution, Ms Osafo approached Jocelyn and Shirley to help her, but instead of helping her, the two called L/Corporal Godzi to drive her out of the banking hall. 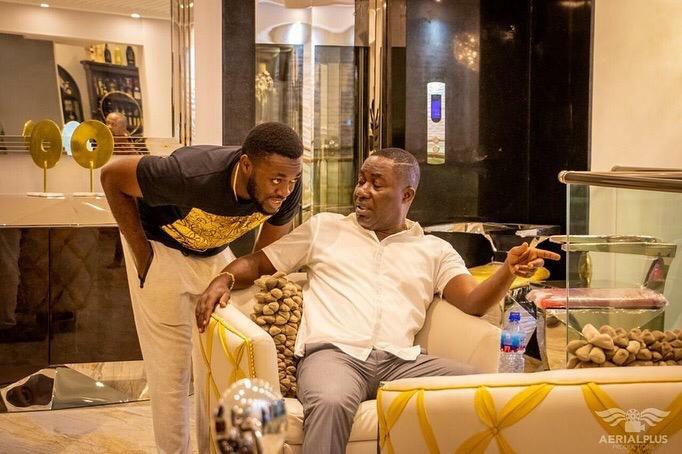 “The policeman, in his attempt to move Ms Osafo out of the banking hall, assaulted her and subsequently dragged her out of the banking hall,’’ it said. The prosecution added that the two bank officials did not make any attempt to stop Godzi from beating Ms Osafo. Shirley rather shot a video of the incident, while Ayensu assisted Godzi in driving Ms Osafo out of the banking hall. 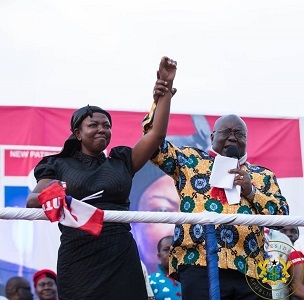 Madam Lydia Seyram Alhassan has replaced her husband as the Member of Parliament for the Ayawaso West Wuogon Constituency after winning the by-election held on Thursday in Accra. Madam Alhassan, the New Patriotic Party (NPP) candidate, was the second wife of the late MP Mr. Emmanuel Kyeremateng Agyarko. She polled 68.80 percent of the valid votes cast. Her closest challenger, Mr. Kwasi Delali Brempong of the opposition National Democratic Congress (NDC) polled 30.52 percent while Mr. William Kofi Dowokpor of the Progressive People’s Party (PPP) and Mr. Clement Boadi of the Liberal Party of Ghana (LPG) polled 0.58 and 0.10 percent respectively. The conduct of the polls was marred by a shooting incident at the residence of one of the aspirants,Mr Brempong; which resulted in injuries to 18 persons and an assault on an observer at one of the polling stations. The Criminal Investigations Department of the Ghana Police Service have commenced investigations into the shooting incident. According to some eyewitnesses at the scene, members of vigilante groups affiliated to the NPP shot at NDC members who had gathered at Mr Brempong’s to go and cast their votes. At the La Bawaleshie School Park, the Member of Parliament of Ningo Prampram, Samuel Nartey George who was observing the elections was allegedly assaulted by some unidentified persons. The incident also resulted in the opposition party directing their agents to withdraw from the various polling stations. Wanlov, Ghanaian musician who usually hate to put on slippers has hit hard on Ghanaian politician Kennedy Agyapong ove the killing of Anas’ number one man Ahmed Suale. 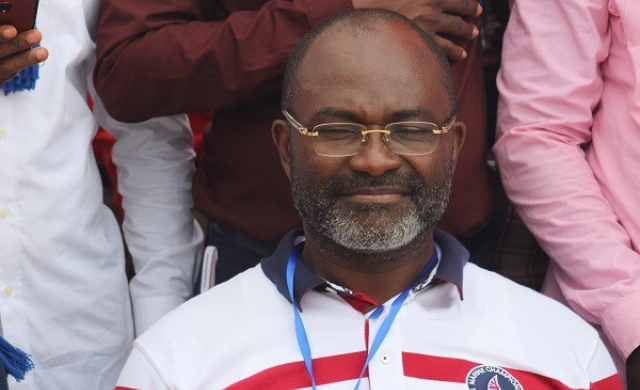 According to Ken Agyapong who was picked up as a suspect to the issue, he revealed that he got nm to do with. But talking to Citi News, he revealed that he warned the journalist saying if he dares comes to his premises he will deal with him. Following this case carefully Wanlov has then hit hard on the politician for saying as he takes him as a senseless person.